Hotel Room Rate: $98 for 1 - 4 persons! 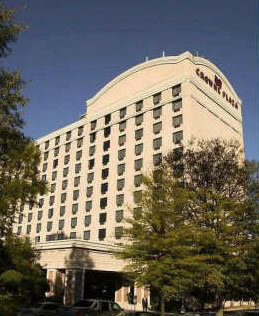 The Crowne Plaza Atlanta Airport Hotel guest facilities include free high speed wireless internet in every guest room, as well as complimentary shuttle service to the airport and to MARTA and the express train link to downtown business district. PARKING: THE CROWNE PLAZA ATLANTA AIRPORT HOTEL has guest self- parking for a fee of $14.00 per day; however, a reduced rate of $7.00 per vehicle, per day, will be extended to your group. Valet Parking is also available for $17.00 per day, per vehicle. Valet Parking is not discounted. If you have any concerns, please email us with your reservation number at conchair@gafilk.org. Gafilk is dedicated to a harassment-free convention experience for everyone. Our anti-harassment policy can be found here. © 2017 GAFilk. All Rights Reserved. Website Development by Portal Production, Ltd. Grateful acknowledgement to Randy Cleary for the GAFilk logo!